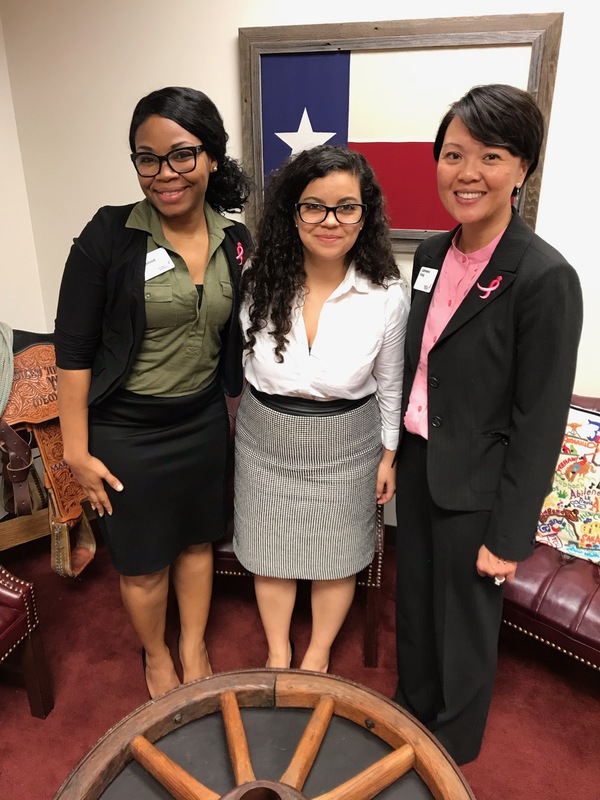 Susan G. Komen is the voice for the more than 3.1 million breast cancer survivors living in the United States and those who love them, working to ensure that the fight against breast cancer is a priority among policymakers in Washington, D.C., and every Capital across the country. In Texas, we are fortunate to have created a partnership with other Affiliates called the “Komen Texas Affiliate Advocacy Collaborative (KTAAC)” consisting of Affiliate staff, volunteers and survivors whose purpose is to promote community participation in state public policy, to create a unified voice to move breast health education and services legislation forward, and to provide an opportunity for information sharing and learning. 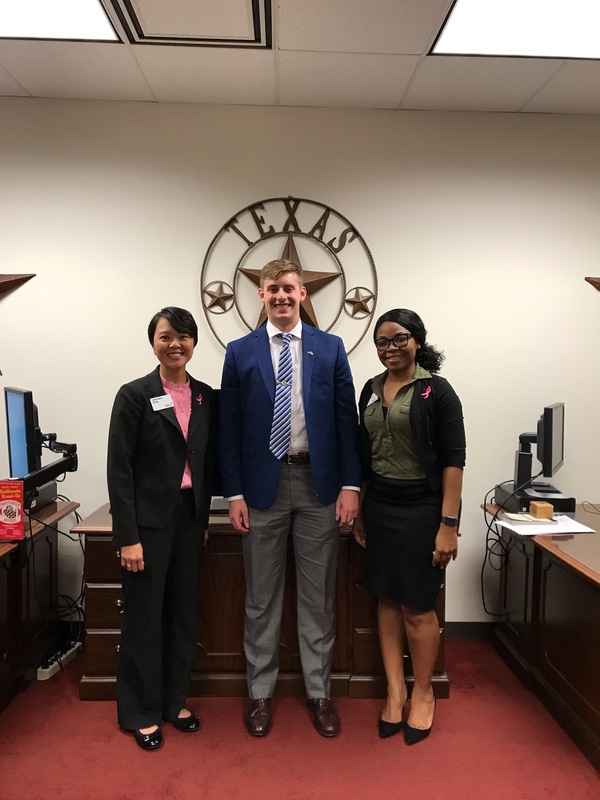 Supporting House Joint Resolution (HJR) 12 and House Bill (HB) 39 to extend the life and work of the Cancer Prevention and Research Institute of Texas (CPRIT). CPRIT’s mission is to create and expedite innovation in the area of cancer research and in enhancing the potential for a medical or scientific breakthrough in the prevention of cancer and cures for cancer; and to attract, create, or expand research capabilities of public or private institutions of higher education and other public of private entities that will promote a substantial increase in cancer research and in the creation of high-quality new jobs in this state. CPRIT has issued more than 1,321 grants totaling nearly $2.2 billion for research and prevention in the state of Texas. Since its inception, the CPRIT prevention program has supported more than 1.18 million screenings and diagnostics for breast, cervical, colorectal and lung cancer. Additionally, according to the most recent annual report, CPRIT’s investments have attributed to $12.4 billion in Texas business activity. 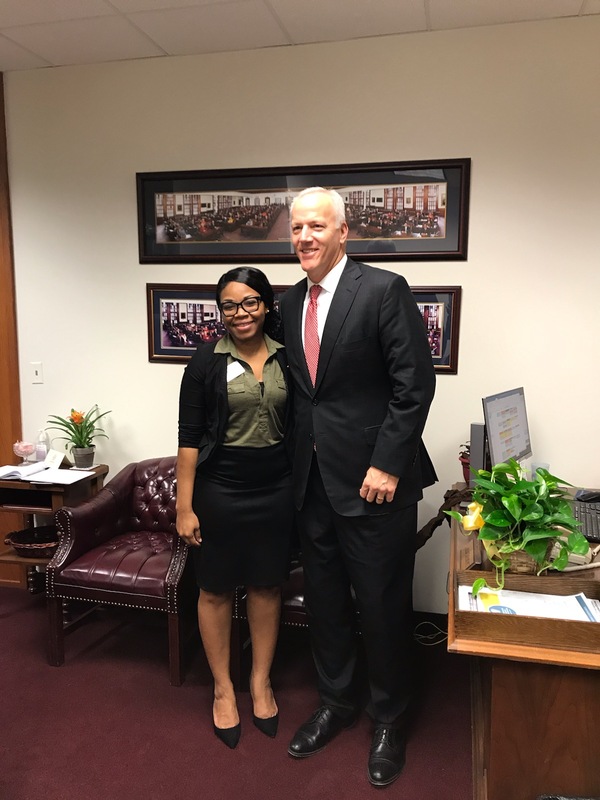 Support to CPRIT should continue because ensuring CPRIT is extended and renewed will be key to ensuring Texas remains the leader in cancer research and prevention. Preserving funding for the Breast and Cervical Cancer Services (BCCS) program in the FY20 and FY21 budget. The BCCS program is important because it provides life-saving breast cancer screening and diagnostic services to low-income, uninsured and underinsured women, and has served more than 60,000 women and diagnosed more than 800 breast cancers from 2012-2017. In 2019, an estimated 18,750 Texas women will be diagnosed with breast cancer and 2,980 will die from the disease. Without access to breast cancer early detection programs, many uninsured women will be forced to delay or forgo screenings, leading to later diagnoses. This delay can mean that a woman will not seek care until the cancer has spread beyond the breast, making it much harder and expensive to treat and with deadlier outcomes. 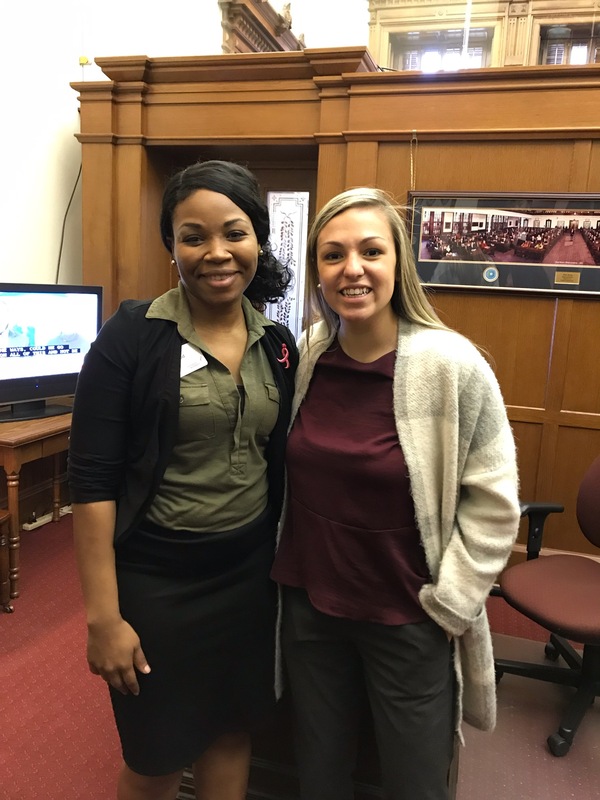 Ensuring the BCCS program remains adequately funded will be key to ensuring low-income, uninsured women continue to have access to vital screening services as well as ensuring newly uninsured women have access to health education, case management and patient navigation services. 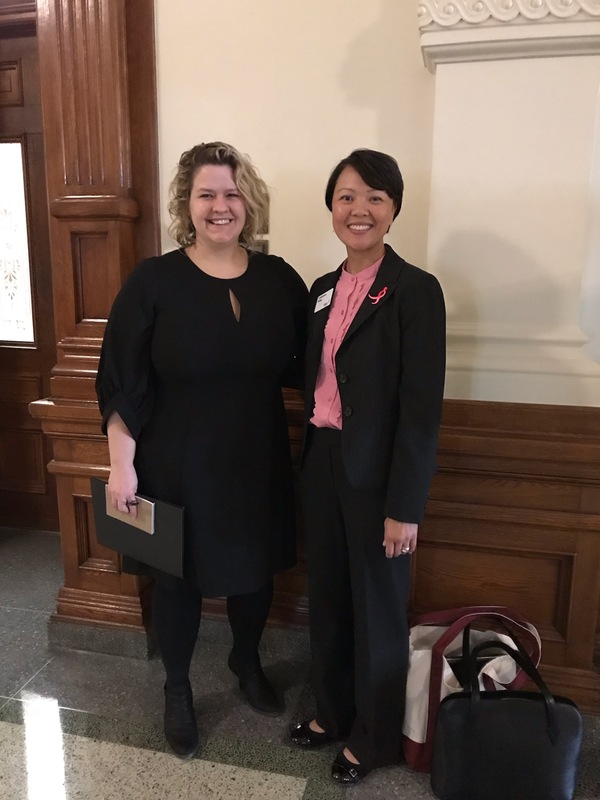 Supporting HB 170, the Diagnostic Mammography Coverage legislation, which eliminates the disparity in health insurance coverage between screening and diagnostic mammograms. Traditional screening mammography is an x-ray examination of the breast of an asymptomatic woman. Once signs or symptoms of breast disease have been found, a diagnostic mammogram is recommended. Diagnostic mammograms are performed in the same way and with the same equipment as traditional screening mammograms, usually requiring additional views and under the immediate supervision of the interpreting physician. A recent Susan G. Komen-commissioned study found that out-of-pocket costs for a diagnostic mammogram for Texas patients with private insurance varied from $336 to $836 depending on their insurance company. An estimated 10% of screening mammograms require a follow-up diagnostic mammogram. Passing HB 170 would greatly reduce the out-of-pocket costs and thus improve access and allow more timely diagnosis and treatment of breast cancer. 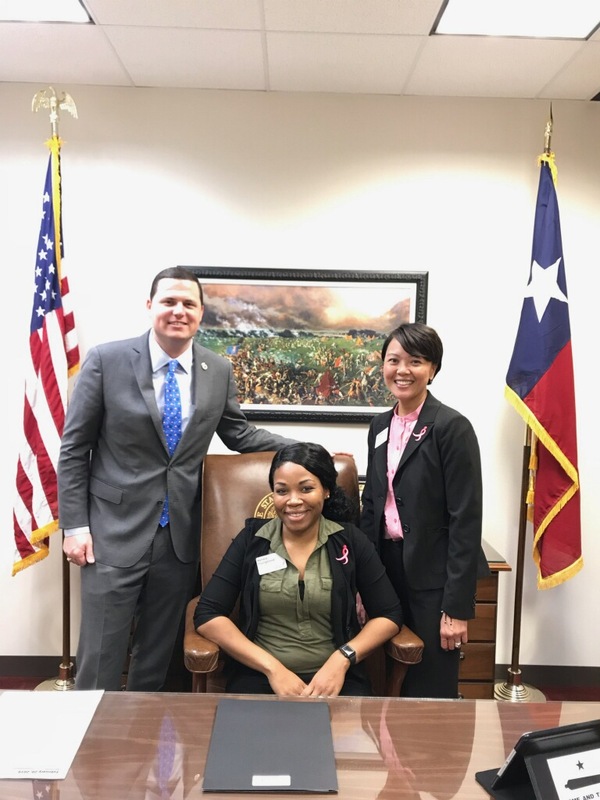 All legislators were supportive of the work Komen has done in the fight against breast cancer and were open to learning about these important issues. Some members were eager to support these initiatives immediately, while others requested additional information before committing their vote. 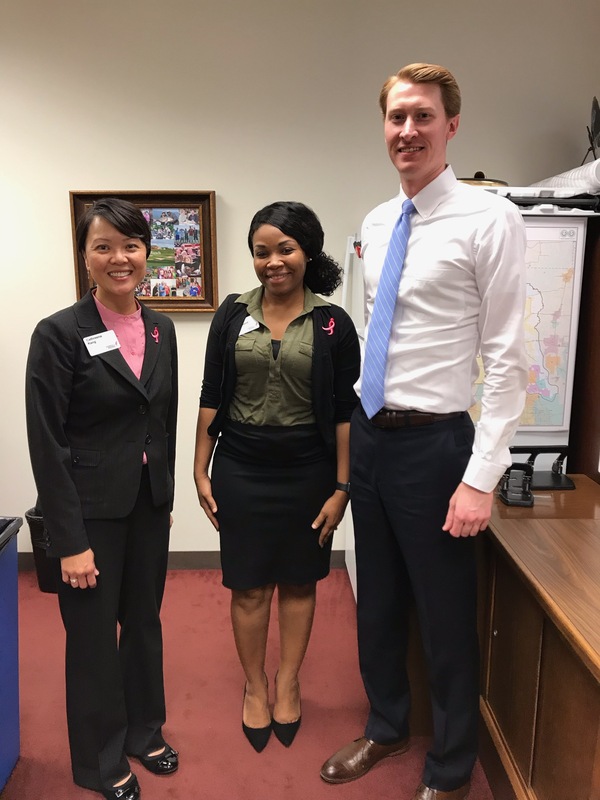 Komen North Texas is working closely with Headquarters and other Texas Affiliates to research and provide additional statistics and documentation for the legislators’ information requests. We are committed to monitoring the progress of these issues and ensuring that our elected officials hear the voices of their constituents on these important matters. ⇐ Do You Know Your Girls?